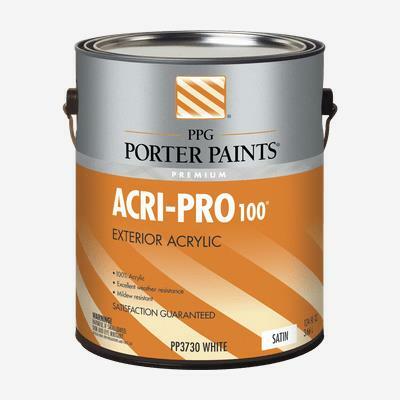 ACRI-PRO® 100 Exterior Latex is a top professional quality, 100% acrylic house paint. Ideal for use on properly prepared exterior wood, brick, masonry, concrete, weathered aluminum, weathered vinyl siding, and primed metal substrates. Vinyl siding and similar plastic composites should not be painted with a color darker than the original color. Painting vinyl siding or plastic composites with a darker color may cause them to warp.